Sony Ericsson has just announced the M600 phone and messaging device [ .jpg image ]. This is a fully-specified email tool and mobile phone rolled into an extremely stylish, slim device featuring a touch screen and handwriting recognition. 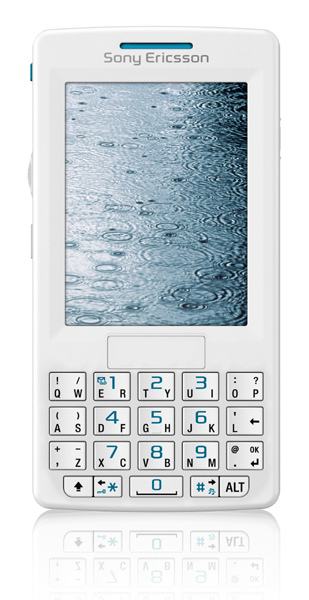 M600 is the second Symbian OS 9.1 and UIQ 3.0 enabled phone in the Sony Ericsson portfolio offering users great customisation opportunities and the ability to buy personal productivity and other applications from the Sony Ericsson Application Shop. New push email applications, remote synchronisation and expandable memory give owners a UMTS phone and email connectivity in a device that easily fits in their pocket – at just 15mm thick, it is one of the slimmest business UMTS devices of its kind available.